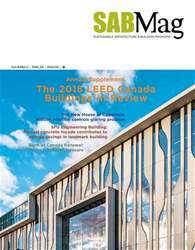 (0 Customer Reviews) | Write Review 4 issues per year SABMag is all about making better, more livable buildings and homes. It's full of ideas for commercial and residential buildings which are energy- and space-efficient, healthier and more comfortable to live or work in, and cheaper to operate – in other words, high performance. 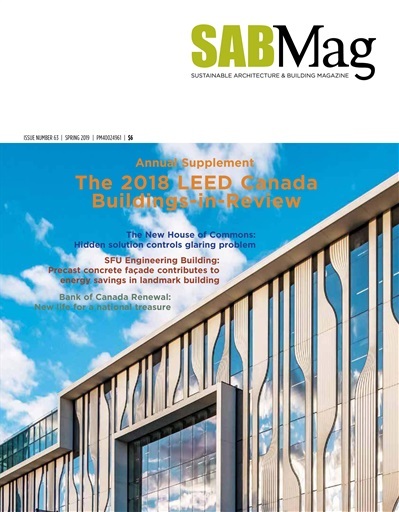 It's packed with great photos, illustrations and articles on leading-edge building design that you don't have to be a techie to understand. In fact, many of the buildings and homes featured in SABMag show the newest ideas and technologies, but they also incorporate passive design which works with nature to light, heat, cool and ventilate our live and work spaces. SABMag will be of interest to design professionals and anyone interested in how our buildings and homes can contribute to improving the environment. SABMag is all about making better, more livable buildings and homes. It's full of ideas for commercial and residential buildings which are energy- and space-efficient, healthier and more comfortable to live or work in, and cheaper to operate – in other words, high performance. It's packed with great photos, illustrations and articles on leading-edge building design that you don't have to be a techie to understand. In fact, many of the buildings and homes featured in SABMag show the newest ideas and technologies, but they also incorporate passive design which works with nature to light, heat, cool and ventilate our live and work spaces. SABMag will be of interest to design professionals and anyone interested in how our buildings and homes can contribute to improving the environment. You'll receive 4 issues during a 1 year SABMag magazine subscription. You'll receive 4 issues during a 1 year SABMag magazine print subscription.